It is Monday morning in San Francisco, and you have just woken up late. To help in your rush to get to work on time, you use your favorite ride service app to pay for a driver to bring you to work. On the way to work, that pre-coffee, drowsy feeling starts to kick in, so you use your Starbucks app to order a coffee and a breakfast snack to get you through the morning. Between the app’s ability to allow you to order ahead and your driver’s keen shortcut, you get to work with just enough time to grab your Starbucks order and dash into work. At lunchtime, your boss asks you to order lunch for the office. You use the company’s stored payment method at the office’s favorite takeout place, and order online for delivery. Everyone gets his/her favorite meal and an extra boost of energy to work harder for the remainder of the day. After work, you walk to the nearby grocery store and, using your Apple Pay service, pick up a few things for dinner. Finally, you buy a bus ticket with the MUNI app and shuttle home. Notice a trend? You have just survived an entire day, made a number of transactions and purchases and yet you did not do the one thing that is synonymous with making a purchase; you never even took out your wallet (or searched through your purse, reached into your sock, smashed your piggy bank to oblivion, fumbled around with change, wrote a check, etc.). In other words, no physical money was ever exchanged. Everything was handled through mobile payment apps. This is a rapidly evolving trend that is pushing society towards becoming cashless. Aided by cash’s inefficiencies and the abysmal failure that is EMV chips, mobile payment apps are taking the crown as consumers’ preferred method of payment. At the same time, businesses are flocking to create these apps because they streamline checkout processes, as well as offering insights into improving other departments and strategies. Think of all the steps it takes to get cash. Even excluding the steps towards the actual earning of that cash, you still have to go to a bank or ATM, in order to make a withdrawal. Sure, ATMS are everywhere, but if the ATM is not part of your bank, then there are additional fees just to get your own cash in your hand. Making payments with cash is also a hassle. We have to receive change back on every purchase, which extends the transaction process and creates longer queues, especially when there is the little old lady who swears she has the extra seventeen cents in her purse. This also increases the likelihood of a miscalculation, when we are given too much, or too little change. Change itself is cumbersome. No one enjoys walking around with his/her pants or purse weighed down. We end up stashing it in jars or piggy banks, losing it under car seats or couch cushions. Then it sits there, collecting dust instead of interest. With these inefficiencies, it should come as no surprise that cash transactions are in a decline. In 2015, Business Insider surveyed millennials (ages 18-34) and found that 40 percent of those asked would give up cash entirely. When you consider that this is the age range that is most attuned to mobile technology and therefore more likely to be using mobile payment apps, that percentage is not as startling as it may appear. It is the best-case scenario for mobile payment apps overtaking cash and less than half of the age group is on board. However, there is a good chance that we will see those percentages in the millennial and other age ranges start to climb. After all, cashless transactions are becoming more and more popular in our economy. About 50 percent of all transactions involve a non-cash payment, such as a credit card or mobile payment app. Outside of the US, other countries are pushing towards becoming entirely cashless societies. Leading the pack, Sweden is hoping to eliminate their physical cash sometime in the next five years. Currently, only 2 percent of all transactions in Sweden are made with cash. Its neighboring countries are also taking notice and jumping on the cashless bandwagon; Denmark has plans to be cash-free by 2030, with Norway a few short years behind in their planning. On the other hand, the US has a plan to roll out new dollar bills, with the last being released just around 2030. We have already seen the new one hundred dollar bills, which are more secure and less susceptible to being counterfeited. Another bill, which will feature Harriet Tubman, is not set to be released for another four years. With any luck, the country won’t be entirely cashless, by the time the last set of new bills are released. If you have received a new bank or credit card lately, then you have witnessed first-hand the pain of the new EMV chips. While this new card reading technology is better at preventing fraud, it takes longer. When you think about how fast we receive everything, thanks to our constant connectivity, the last thing consumers want is a slower process. In fact, the mobile world we live in is actually shortening our attention span and thereby our patience. 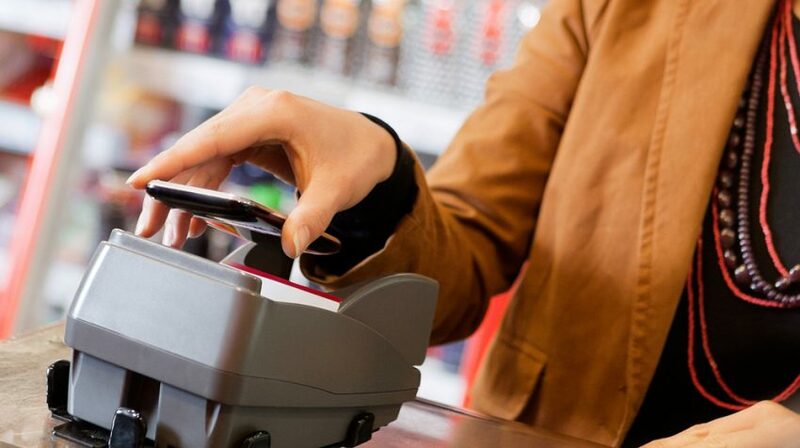 Longer checkout queues hamper the customer experience, which has caused some vendors to ignore the EMV process altogether; they feel it is too big of a detriment to their business. Arguably, the EMV chips are not as flawed as we think. It is just a learning curve. We have grown up swiping our cards, now we have to get used to inserting and waiting. Every new piece of tech has a few bugs to work out and it is possible that in the future, we won’t have so many gripes with these chips. For right now, however, consumers do have a lot of problems with the EMV readers and chips, which are opening up the door for mobile payment apps to take over. Consumers feel that these applications, such as Google Wallet, Apple Pay, etc, are not only faster (payments can be made with a quick tap of the phone), but also just as secure as these ultra-tight EMV chips. In other words, consumers are not waiting for the EMV process to get better or more streamlined. They are finding a new way to make payments and that is mobile pay. One of the biggest draws to mobile payment apps that consumers are beginning to realize is that they are highly incentivized. Businesses offer rewards and app-only coupons to encourage users to use their payment app, instead of simply pulling out cash or even a card. Not only does this stimulate more repeat business, but mobile payment apps also yield huge amounts of consumer data for companies, which would not be as accessible if they paid with cash. These huge volumes of data present a number of discoverable insights that businesses did not have such easy access to before. It will allow them to better understand the needs and attitudes of individual customers and thus cater a more personalized customer experience to meet those desires. The customer experience is a huge driver of business in today’s world and offering a personalized journey for each customer is a huge boost, which will have big returns to a brand’s bottom line. As long as you have the software or platform to properly and accurately analyze all this data, the benefits are endless. For example, it allows you to see who is buying what and when, which is superior market research that can be leveraged towards targeting customers with the right deals that most appeal to them at the current time. Another example, you can see which customers have become inactive on the app and then heavily incentivize them to return to your store and stimulate continued brand loyalty, while preventing defection to a competing company. Some mobile apps have the ability to link to social media, which creates an even wider berth of possibilities. You can track a single customer and see if they are a brand promoter or detractor. Alternatively, you could measure the positive or negative sentiments of a larger section of customers, in order to see how you can improve your customer experience. In addition to the data-rich benefits, mobile payment apps also have other perks. They streamline store efficiency because checkout processes are faster. This means you can serve more customers and those same customers are happier because they face shorter queues. It also eliminates disputes during returns. You never have to deal with an angry customer who does not have a receipt; all the receipts are digital and easy to access with a mobile device. This greatly benefits the consumer because they always have a record of their spending, which is nice for making returns, completing taxes or even figuring out business expenses. In short, mobile payment apps have the ability to vastly enhance a number of business processes and the overall customer experience. Again, it is hard to make a strong case that the US is going to be completely cashless in this decade or even the next. However, mobile payment apps are definitely driving us towards becoming a society that is less dependent on the Benjamins and more driven by who has the better payment app. This cashless, mobile-pay-dependent mentality is already being adopted by a number of forward thinking businesses. They are seeing massive benefits to a number of key facets of their business. Checkouts are more streamlined, customers are happy and incentivized to continue returning and the data created by the apps can help improve marketing strategies and more. Chances are the US will not be going completely cashless anytime soon. However, with our heavy reliance on mobile devices and payment apps and the door for an alternative payment method wide open, a cashless future is certainly somewhere on the horizon.